Parliament's oversight committee on public accounts says it is "discouraged" that it again had to postpone a hearing with the Department of Public works, after getting no answers regarding exorbitant amounts spent on ministerial homes. 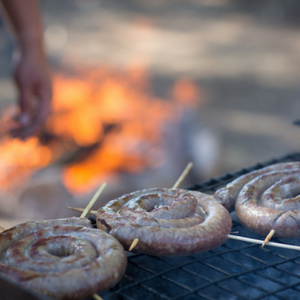 Last week, Parliament's Standing Committee on Public Accounts (Scopa) asked the department to explain why R500 000 was spent on braai areas at three ministerial homes in Cape Town. The due date for the report back was Wednesday. However, according to a statement issued on Thursday on behalf of Scopa chair Themba Godi, the committee "could not get any information from the department on why such exorbitant amounts are being spent on purchasing and maintaining ministerial houses". Earlier in August, the Sunday Times reported that public works had spent R30m on five homes for ministers in Pretoria, Johannesburg and Cape Town. It reported that three of the Cape Town homes had been kitted out with braai areas costing a total of R500 000. The committee hit out at governance within the department, saying it had observed a "breakdown of governance ... little accountability and lack of monitoring, which leads to a system that wastes a lot of money". It has again asked public works to explain how ministers houses are maintained, when the department next appears before Parliament.